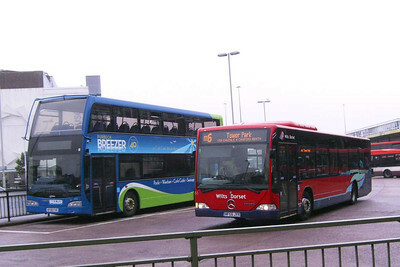 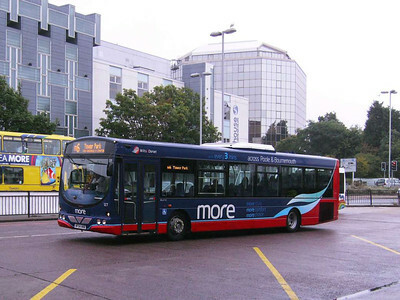 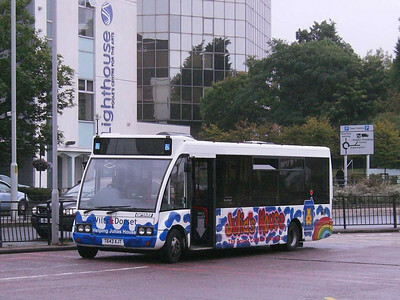 Buses in Poole on August 1st 2009. 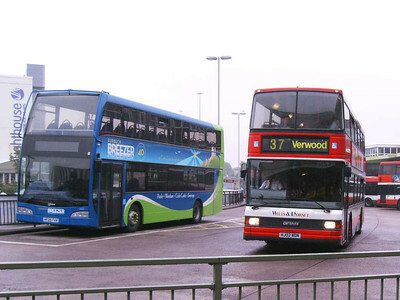 Weather and time constraints meant that almost all my bus watching was in and around the Bus Station, unfortunately. 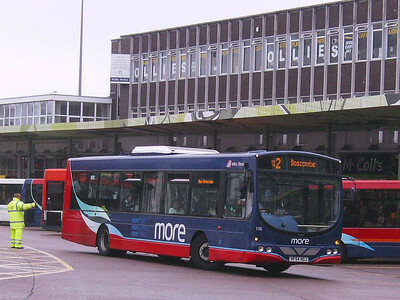 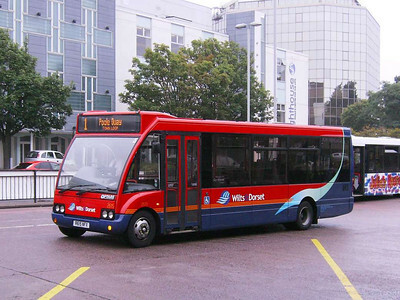 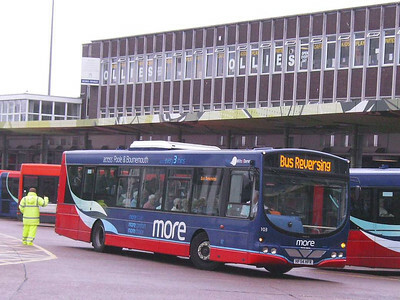 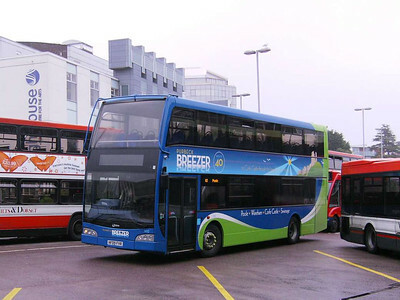 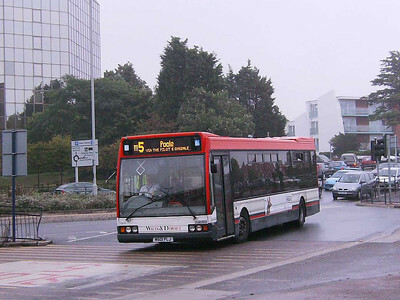 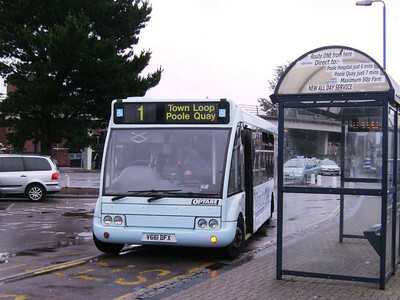 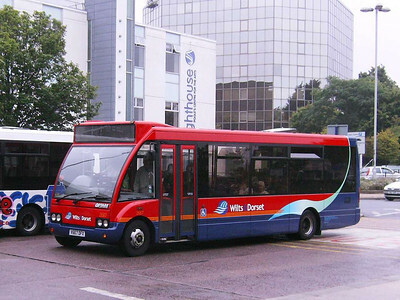 Wilts and Dorset are the major operator in Poole: Optare Solo 2661 (V661DFX) is seen at the Station in a special livery for route 1 which links the town centre, the station and the Quay. 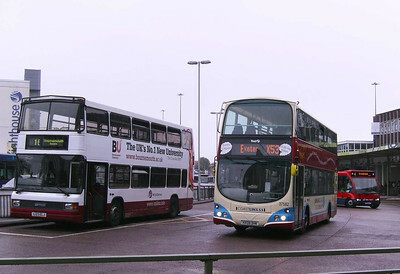 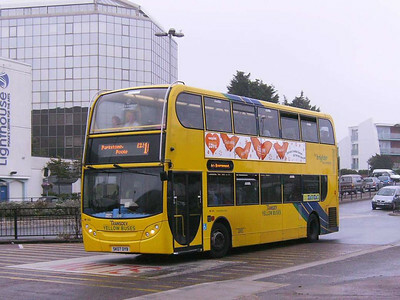 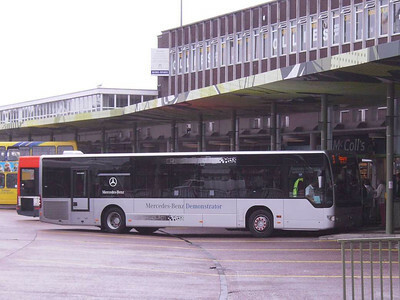 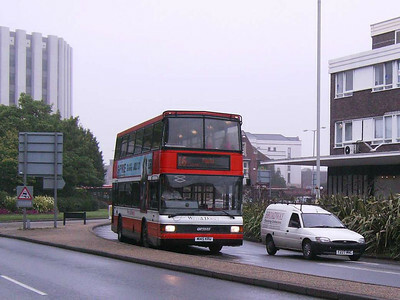 Yellow Buses 183 (HF04JWD), a Wright bodied Volvo B7TL arriving at the Bus Station. 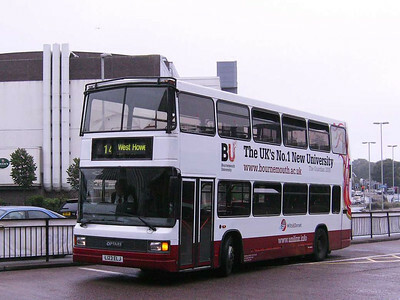 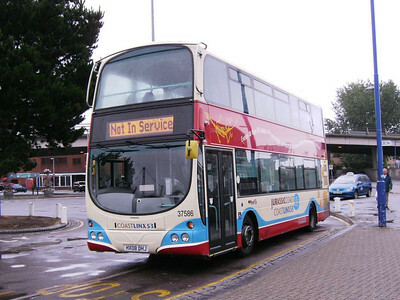 First Transbus Paragon bodied Volvo B12M 20540 (WX53PFJ) on a National Express service to Eastbourne. 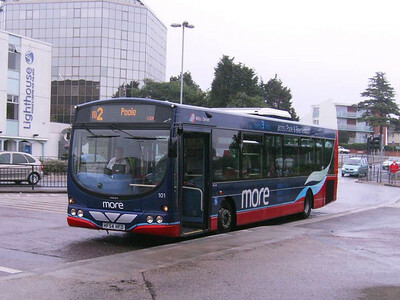 I was unable to keep the railings out of some of my shots due to the presence of a pedestrian underpass and bicycle racks between me and them! 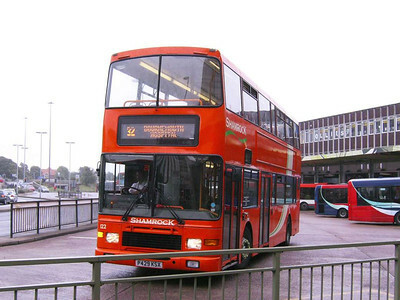 Shamrock 122 (P429KSX) is an ex-Lothian Alexander Royale bodied Volvo Olympian. 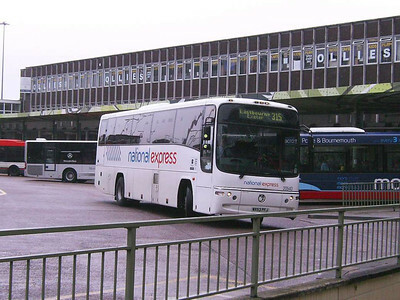 A curse on those railings! 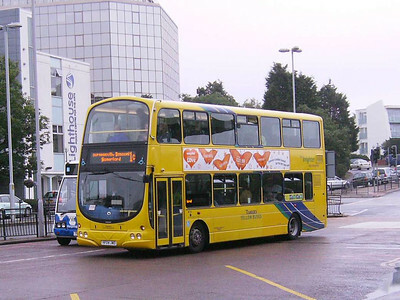 Yellow Buses Alexander Dennis Enviro 400 186 (SF07DYB) arriving at the Bus Station. 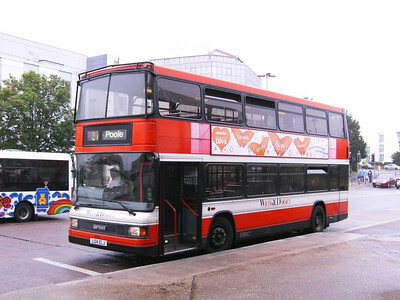 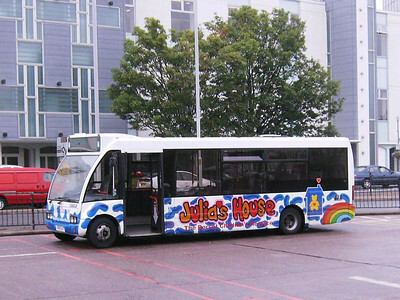 This bus was last seen by me at the Redhill Steam Fair in 2007! 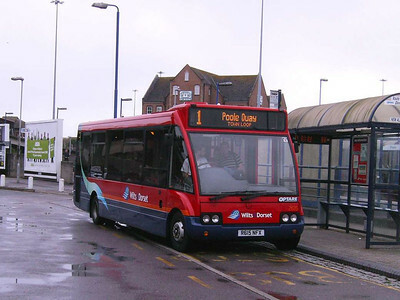 Phot at Redhill is on Stephen Mitchell's fotopic site.